The inception of the P20 series was not enough as Huawei’s Honor 10 features top-tier smartphone specifications but with a price tag that will put its competitors to utter shame. If that did not suffice, it also comes in dazzling new colors, one that will certainly catch your eye. Let us dig deeper and see why the handset will become a popular pick amongst customers. 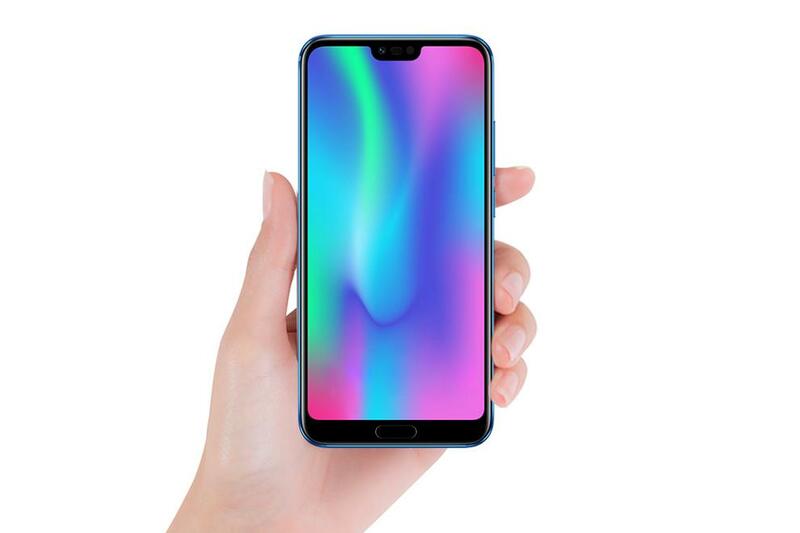 The Honor 10 is rocking a 5.84-inch Full HD+ (2,280 × 1,080) IPS LCD with a 19:9 aspect ratio. There is no fingerprint reader at the top, but there is one present at the front, making it easier for the user to access the home screen with ease. Its performance is going to be the talk of the town since it sports the Kirin 970. At this point, everyone is familiar with this chipset, and it also powers the P20 Pro, the world’s first triple rear camera smartphone. The Honor 10 also sports its own Neural Processing Unit (NPU) and you can read all about how it will be able to benefit the camera side of the newly announced smartphone. Though it will lag behind the Snapdragon 845 in terms of performance, there are other reasons to purchase it. Supplementing the performance of the Kirin 970 is 6GB of RAM that is paired with either 64GB or 128GB of internal storage. Sadly, there is no way to expand your storage, but there is a 3.5mm headphone jack, and that is a rare addition to see these days in smartphones. The Honor 10 features a new dual camera setup but it does not feature Leica camera branding, which was expected. At the back, you have a 16MP RGB camera with a F/1.8 aperture and is paired with features like PDAF and LED flash, plus a 24MP monochrome or ‘black and white’ camera. The camera module is branded as ‘AI Camera’ and it has intelligent image stabilization via software and a majority of that contribution is given by the NPU. The camera software is also capable of a ‘semantic image segmentation mode’. 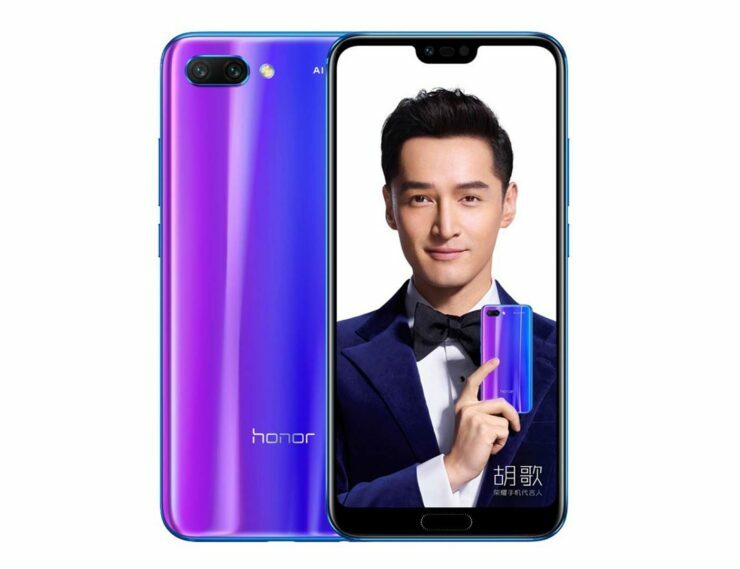 Like previous Huawei and Honor devices such as the Honor View 10, the Honor 10 is capable of real-time object and scene recognition. In addition, the new camera technology also allows the phone to detect multiple scenes in the same photo and apply different filters at the same time. 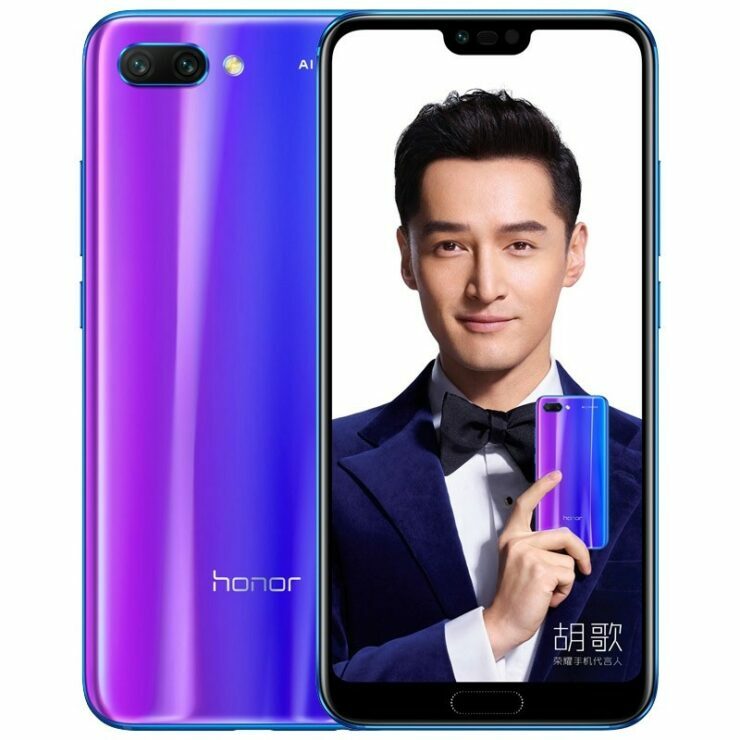 The Honor 10 will be available in the colors Blue, Purple, Black, and Grey. The base model, which features 6GB of RAM and 64GB storage will cost CNY 2,599 or $414 while the 6GB RAM and 128GB storage variant will cost CNY 2,999 or $478. The smartphone will be available in China first starting April 27 from Huawei Mall and other retail partners and make its way to other markets on May 15. Though Huawei’s progress might be getting hampered in the U.S., the company can still sell unlocked models of its smartphone through online retailers such as Amazon. While these models are unlocked, you will have to pay the full price, which is going against what the majority of customers are accustomed to paying, which is pay a monthly amount for a couple of years. 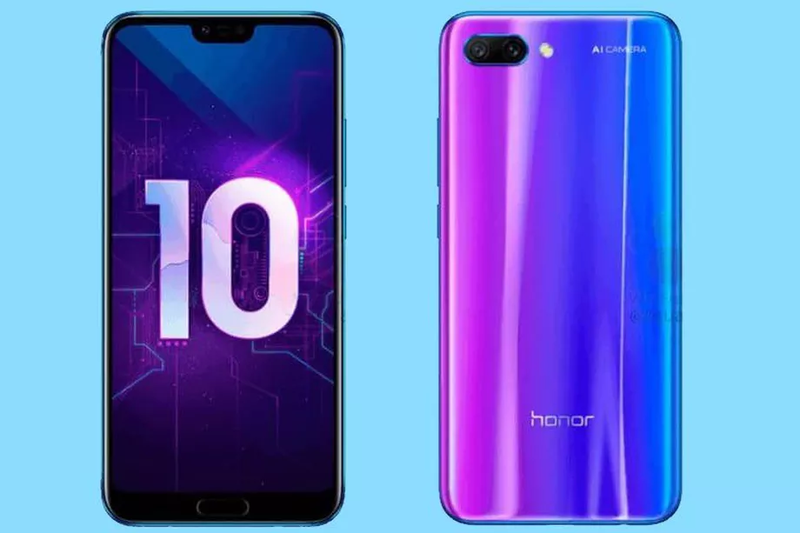 Do you think for the price, the Honor 10 will become a favorite amongst consumers that want the best ‘bang for their buck’? Tell us down in the comments.